FreeCharge Jio Prime: Get Free CCD Voucher on Jio Prime Rs 99 Recharge! FreeCharge along with Jio Prime is back with a Cool Offer. This days Jio is giving very hard competition to other mobile operators. Other Mobile Operators are also trying their best to compete Jio and as a result we are seeing huge drop in Price of Plans. Checkout BSNL Rs 339 Plan to get 56 GB Internet and Unlimited calling per month. Now Activate Jio Prime Membership and Get Free Cappuccino Voucher of Cafe Coffee Day from FreeCharge. Just follow the Given steps. 1. 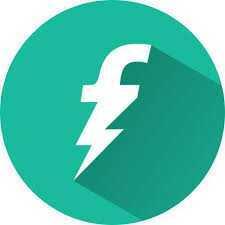 Download FreeCharge app or Visit FreeCharge Website. 2. Login or Signup at FreeCharge. 3. Now initiate a Jio Prime Membership Recharge of Rs 99. 5. Yippee, now complete the payment and finish the Recharge. 6. You will get Free CCD Voucher via Email/SMS in next 48 hours.